If you thought the last "Godzilla" trailer was enough to give you nightmares, prepare yourself for a newly released international version. As the quick clip shows, Godzilla isn't the only monster to worry about. While Godzilla's size and prowess steals much of the show, there are other creatures coming to the surface who bear nothing good for humanity. When faced with those malevolent monsters, Godzilla doesn't look half-bad. 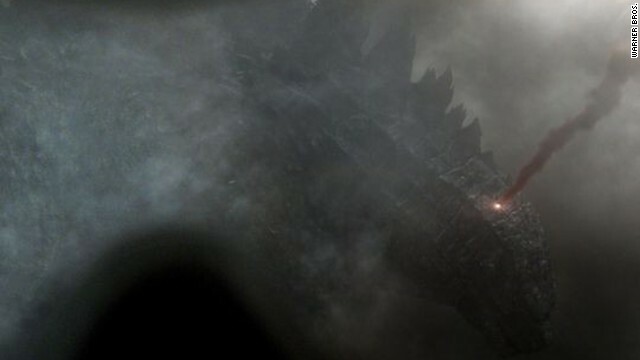 Directed by Gareth Edwards, "Godzilla" stars Bryan Cranston, Elizabeth Olsen and Aaron Taylor-Johnson. It opens in theaters May 16. I can't believe how excited I am to see this movie! holy cow. rodan's in this movie. can the smog monster be far behind?